Last Thanksgiving, I made a gluten, soy, and dairy-free meal to accommodate my husband’s celiac disease and my younger daughter’s milk and soy intolerances. We still had the traditional dinner–I just made minor adjustments to each dish to meet our dietary requirements. The following are the alterations I made to accommodate my family’s food allergies. Surprisingly, the turkey is where I found hidden dairy in the ingredients! I looked at four different brands of turkeys before finding one that did not contain any dairy. I then brined and prepared my turkey as I normally would, except I used olive oil instead of butter. To make the stuffing allergen friendly, I used Udi’s white bread for the bread and used homemade chicken stock in my recipe. All the brands of chicken stock or broth my grocery store carries contained soy, so I subbed in my homemade broth. I found a paleo version of sweet potato casserole that uses canned coconut milk and coconut oil to make this dish allergen friendly. 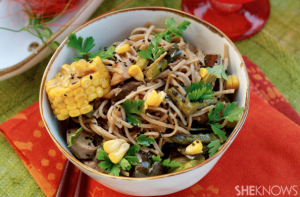 This dish is naturally allergen friendly, so I did not have to make any modifications to my recipe. With a 3 month old and a 2 year old, there was no way I was going to make a green bean casserole from scratch (including frying gluten-free onions and making a dairy-free cream of mushroom base) so I simply roasted green beans with olive oil, salt, and pepper. When the beans looked like they were getting close to being done, I tossed in some dried cranberries and sliced almonds. My mother-in-law has perfected making gluten-free pie crusts. Me, not so much, so I made the filling for the pie and baked it in ramekins instead. I subbed in full-fat canned coconut milk for the milk in my pie filling recipe. I used SoDelicious’s Cocowhip as a topping. Unfortunately, I am a mashed potato purest and have not found a dairy-free recipe for mashed potatoes that meets my standards, so we went without. 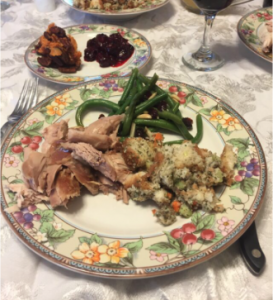 With a few minor modifications I was able to make a Thanksgiving dinner that included almost all our favorite dishes and met all our dietary restrictions. Becky Nagel is a stay-at-home mom to two girls, a three year old and a one year old, in Denver, CO who enjoys cooking for her family, running, and hiking. There are few kitchen appliances that I love more than my very trusty crockpot. It’s great in the winter for creating slow-cooked, hearty dishes like beef stew. It also happens to be wonderful in the summertime when you’d rather be spending time playing outdoors than at the stove. Here are some of my favorite, and easiest, crockpot meals. There’s nothing magical about my meatball recipe except maybe the fact that I use shredded (in the food processor) veggies like carrots and kale instead of breadcrumbs. Sometimes I go crazy and make “meatball surprise” which is just a turkey meatball with a little piece of mozzarella string cheese stuffed into the middle and my daughter thinks it’s the best thing ever. All you do to make them in the crockpot is line the bottom of it with your favorite tomato sauce, place the meatballs on top, spoon some sauce over the meatballs and cook on low for about 6 hours. Serve with pasta, rice or even over potatoes. It doesn’t get any easier than this. All you need is four chicken breasts (you can double the recipe for lots of leftovers) and a jar (or two) of your favorite Mexican salsa. Put the chicken in the crockpot and dumb the salsa on top. I like to cook low and slow, 8 hours, so it gets really nice and shredded. The shredded chicken makes great tacos and is delicious served over rice or sautéed or veggies. You can make so many variations on this depending on the kind of salsa you get. Try a peach salsa, green sauce, or even enchilada sauce whatever you can find! This happens to be my husband’s favorite. You need one pork tenderloin cut into about 1-inch cubes. Season them with ginger, curry, and some tamari or soy sauce and then toss them into the slow cooker with some chicken broth–enough to cover the bottom with about an inch of broth. Cook on low for 8 hours and it will be so easy to shred. When it’s done cook some soba noodles and toss the shredded pork with the noodles and add some thinly sliced Napa cabbage. Now you’ve got an easy one-bowl dinner. Give it a try while you’re stirring it all up and add any more seasonings or tamari depending on your taste. 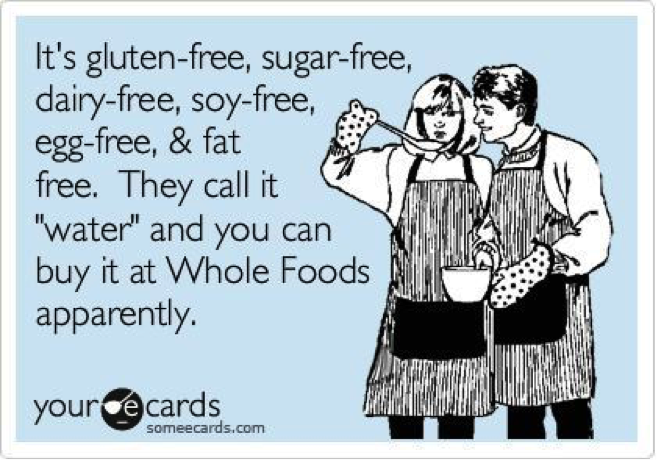 My husband has celiac disease so our household is gluten free. 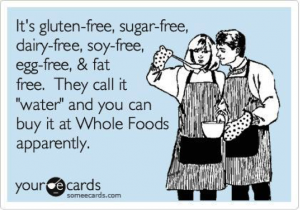 My second daughter has a milk and soy protein intolerance (MSPI) so now I am eating gluten, dairy, and soy free. If you’re anything like me, you’re constantly starving and snacking while breast feeding. The following are a list of my go-to snacks that take little to no prep work and can be eaten with one hand as a bonus! - Unsalted, natural almonds and walnuts: Many salted varieties contain soybean oil, which my daughter is sensitive to. - Bone broth with canned coconut milk: Every commercial variety of broth I found contained some kind of soy. After having a roasted chicken or gluten, dairy, and soy free rotisserie chicken for dinner, throw the bones in the crock pot with water and a splash of apple cider vinegar for 24 hours to make bone broth. My favorite middle-of-the-night, post-feeding snack is baked oatmeal. 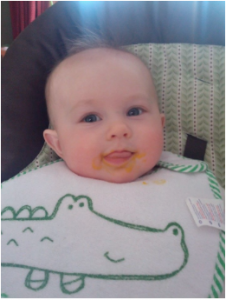 Once a week, I would bake a pan during the first few months of my younger daughter’s life. I adapted the recipe from one I received from my mother-in-law so that it would be gluten, dairy, and soy free. I usually ate a square right out of the pan, but you can add almond or coconut milk and warm up a square for a couple of minutes in the microwave. In mixing bowl, beat eggs slightly. Add brown sugar, baking powder, vanilla, cinnamon, nutmeg, and salt. Mix well. Slightly warm coconut milk in small pan on stove. Add in coconut oil. Stir just until the coconut oil is melted. Remove from the heat and add small amount of egg mixture to the pan, stirring very quickly. Pour coconut milk mixture into the remaining egg mixture in the mixing bowl, again stirring very quickly so that the eggs don’t curdle. Notes: Raisins, dried fruit, or nuts can be added to oatmeal before baking. Oatmeal can be prepared and refrigerated overnight, then baked. I’ve also used old fashion oats and got good results. I don’t know about you but we spend many mornings running around and well- running late. My alarm is always set for an hour before my daughter wakes up for preschool, but that hour goes by really quickly. Having really quick breakfast options that are also healthy are key for our family. Here are some of my favorite easy-to-put-together breakfasts. Breakfast Quesadillas. This is nothing more than scrambled eggs and cheese between two organic corn tortillas. If you have some pre-made guacamole on hand even better! The mix of healthy carbs, protein and fats will give them plenty of energy and keep them full. Overnight Oatmeal. There are lots of varieties to play with here and you can either make individual servings (I use about ½ cup dry rolled oats per person) or enough for the whole family. 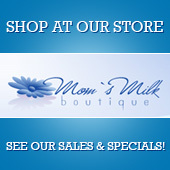 Just put it a glass container or mason jar and cover with organic milk, nut milk or plain yogurt. You just need enough to just cover the oats, add some vanilla extract and raw honey and leave it in the fridge overnight. You can serve it cold or if you used milk instead of yogurt you can quickly heat it before serving. Try topping it with some berries, bananas, chopped nuts, peanut butter, raisins or whatever else your family loves. Apple Sandwiches. This is one of my favorites. Pick a large apple and cut into slices that can be stuck back to each other to make little sandwiches. Spread each slice with your favorite nut butter and maybe some coconut flakes or granola, and then sandwich them together and you’re done! Egg in a hole. Choose high quality, healthy bread such as sourdough or Ezekiel bread and grab a fun cookie cutter to make a hole in the middle of it. Heat a little butter in a pan, put the bread on the pan and then add either a whole egg or a scrambled egg into the middle of the bread and let the egg cook through. 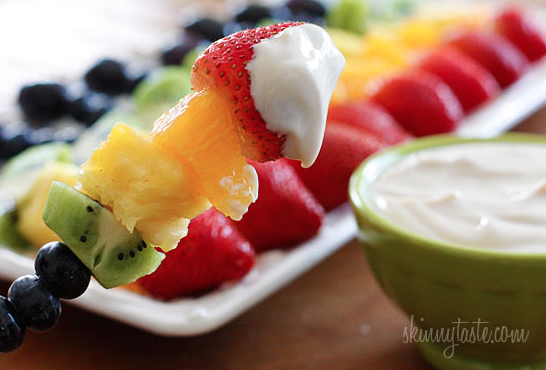 Fruit Kabobs with Greek yogurt dip. These are great to make in large batches to have throughout the week for breakfasts or snacks. All you need is a kabob stick and your favorite fruits and a little bowl of Greek yogurt for dipping in. You can keep the yogurt plain or add some honey, strawberry jam or a touch of maple syrup.